The National Ploughing Championships began in 1931. While there are still lots of tractors, it's also the largest ag showcase in Europe with 300,000 visitors and a big ag tech presence. U.S. 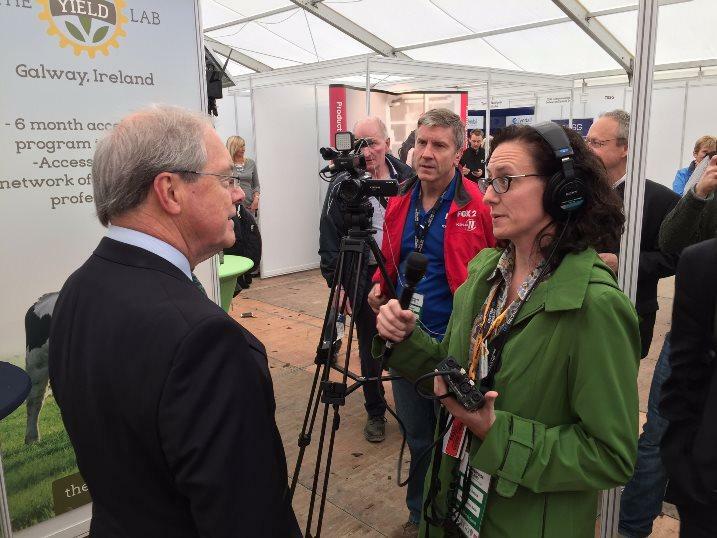 Ambassador to Ireland Kevin O'Malley speaks with St. Louis Public Radio's Maria Altman at the National Ploughing Championships in Ireland. This time the ambassador welcomed a few familiar faces from his native St. Louis. The Yield Lab and BioSTL, two groups focused on ag tech startups, attended the National Ploughing Championships for the first time in September. Both St. Louis organizations were part of earlier delegations O’Malley invited to Ireland from his hometown, in an effort to foster business connections. Listen to Ambassador Kevin O'Malley speak with St. Louis Public Radio's Maria Altman here. 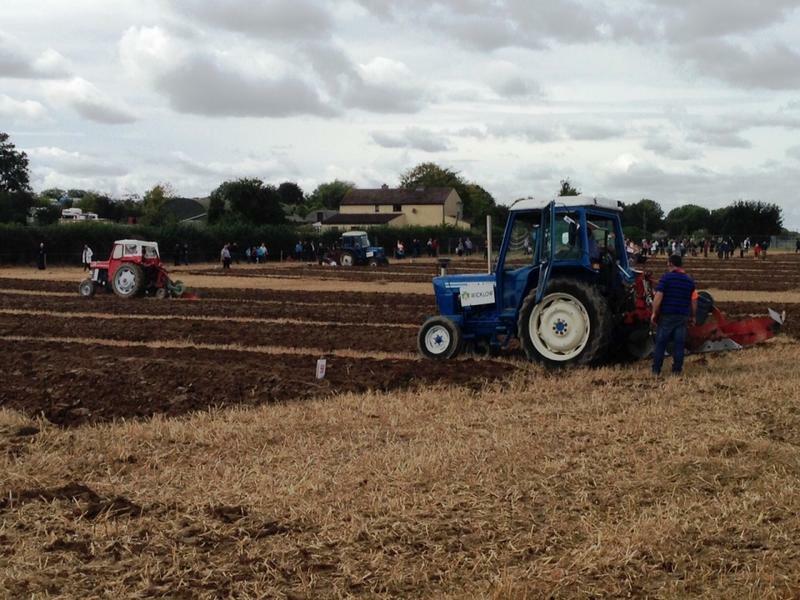 On the first of the three-day event, Yield Lab managing director Brian Clevinger marveled at the scope of the Ploughing Championships. 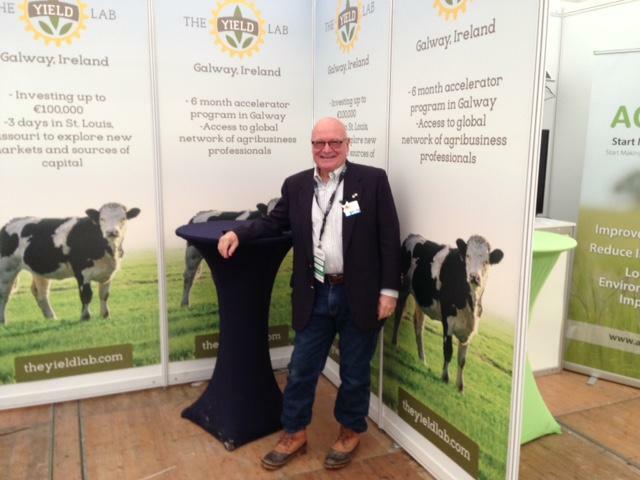 Yield Lab managing director Brian Clevinger stands at the group's booth at the National Ploughing Championships. The Yield Lab had a small booth nestled within the Ag Innovation Arena, in hopes of getting Irish ag startups to apply for their program. The St. Louis-based incubator provides $100,000 investments and mentorship each year to a round of startups. This summer they announced they would open a program in Galway, Ireland. “We looked around at a variety of places to have a European footprint, and I have to tell you Ireland blew us away with how aggressively and how clearly they wanted us to be here,” Clevinger said. Much of the work to entice foreign interest in Irish innovation is done by Enterprise Ireland, a government agency that helps fund and promote Irish startups globally. It’s the third largest funder of startups globally, helping about 250 companies get off the ground annually. CEO Julie Sinnamon said it’s crucial in a country of just 4.5 million people to look to foreign markets. “Most of our companies used to be domestically-focused and then in the downturn a few years ago they suddenly realized they had products and services that people wanted to buy around the world,” Sinnamon said. Ag tech startups are a natural fit in Ireland where 10 percent of the population is involved in agriculture and food is their largest export. That innovation was on display during a pitch competition between six startups, co-sponsored by Enterprise Ireland and the Irish Farmers Journal. 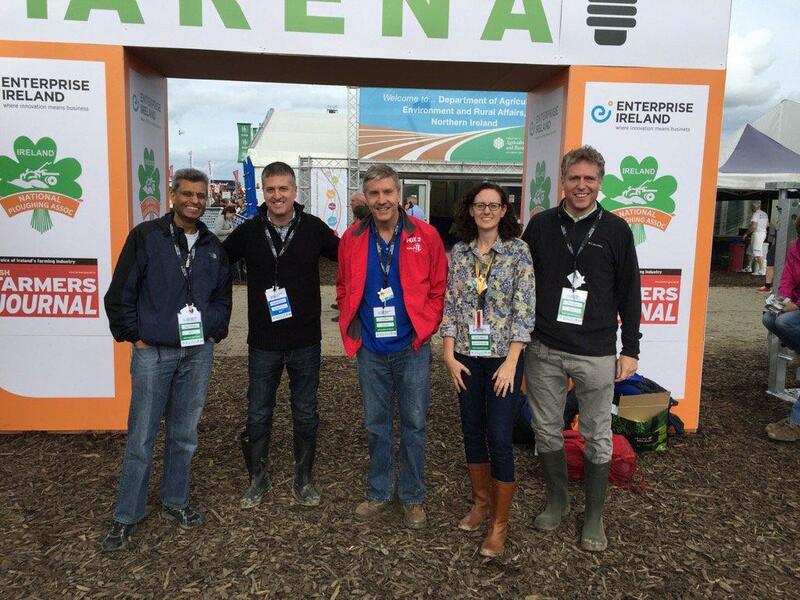 Listen to Enterprise Ireland CEO Julie Sinnamon speak with St. Louis Public Radio's Maria Altman at the National Ploughing Championships. A company called MagGrow came away the winner. The startup has developed a magnetic system that can be added to crop sprayer for more precise pesticide application. CEO Gary Wickham told the audience that it cuts down on the drift of pesticides by more than 80 percent and allows farmers to use less water and fewer chemicals. “What our system does allows farmers to use small droplets without the associated drift problem by pushing the fluid through a magnetic system,” he explained. Enterprise Ireland gave the company a 50,000 Euro innovation grant when they first began, and later, a 250,000 Euro grant to develop the product and start testing. They’ve since won a pitch competition in Salinas, California and have an agreement with Dole. Now he said they’re looking to tackle the Midwest. That’s exactly the reason BioSTL came to the National Ploughing Championship. The non-profit is focused on helping both health and ag-related startups expand into the U.S. by putting a presence in St. Louis. The St. Louis delegation to the National Ploughing Championships included BioSTL representatives, as well as two reporters. From left to right: Vijay Chauhan, ventures and partnerships lead, BioSTL; Randy Bounds, Enterprise Ireland; Alex Fees, FOX 2; Maria Altman, St. Louis Public Radio; Donn Rubin, CEO and President, BioSTL. 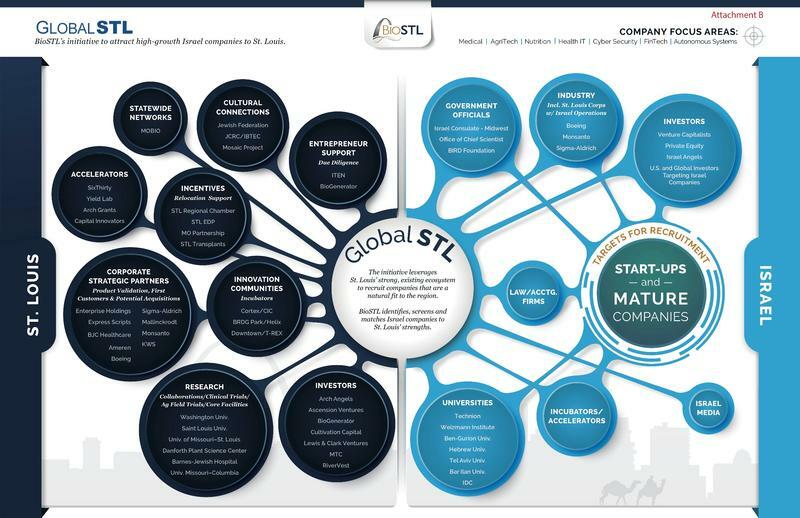 BioSTL has helped four Israeli ag tech startups set up offices and lab space in St. Louis through its GlobalSTL initiative. “It turns out Ireland is jam-packed with innovation,” Donn Rubin said. BioSTL’s president and CEO first came to the country more than a year ago, along with a delegation invited by Ambassador O’Malley. 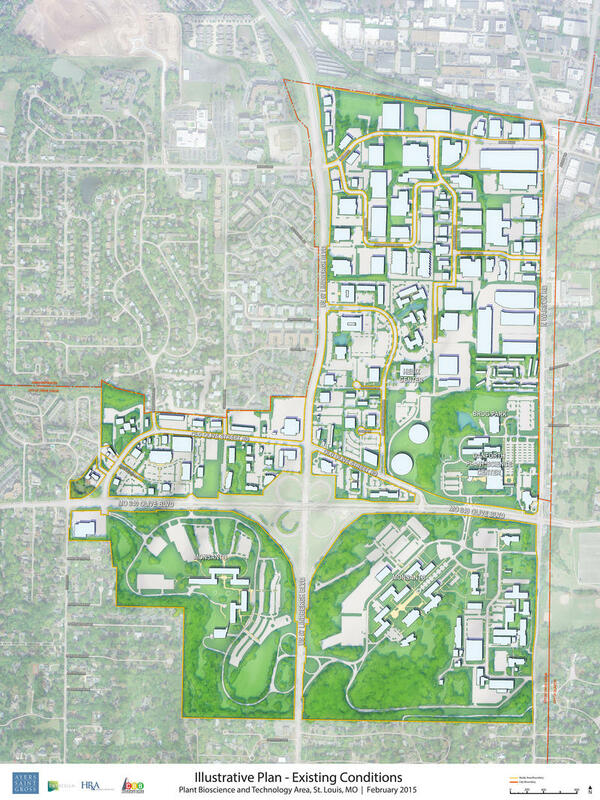 Rubin said that led to meetings with Enterprise Ireland, which has since helped BioSTL identify both health and ag tech companies that might fit into St. Louis’ ecosystem. “We’re getting a lot of traction in health care and now we’re able to focus in on our second area, ag tech,” he said. 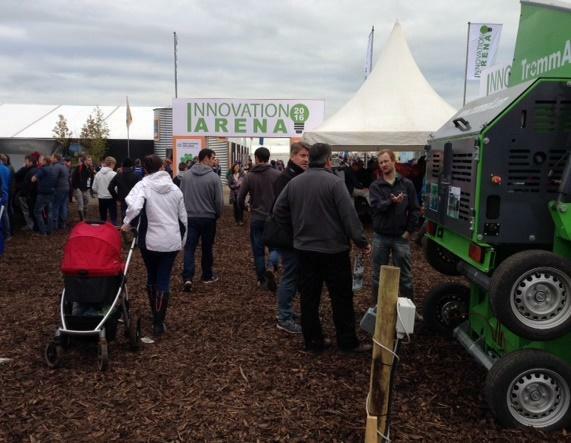 Rubin said the National Ploughing Championships were the perfect place to scout Irish ag tech startups. But he said, without that initial invitation by the ambassador, he’s not so sure Ireland would have gotten onto his radar. “It’s very possible we would not be working in Ireland today,” Rubin said. St. Louis Public Radio's Maria Altman accompanied an ag tech delegation from St. Louis to both Ireland and Israel. Her trip was funded by donations from the Silk Foundation and the Jewish Federation of St. Louis. On a Sunday morning in Tel Aviv the streets are bustling. It’s the first day of the work week for Israelis. 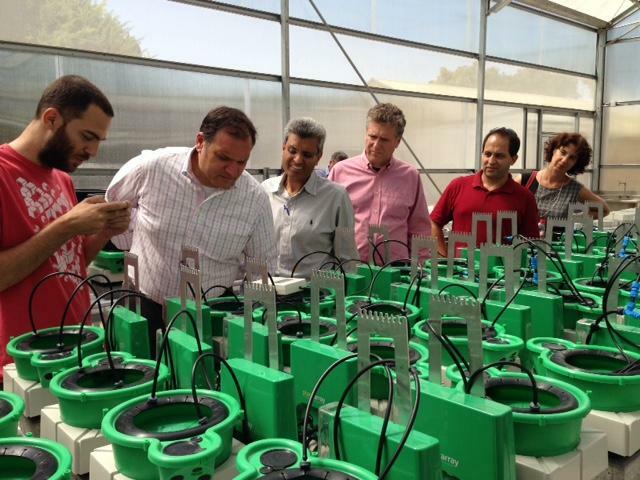 BioSTL’s man in Israel, Uri Attir, has set up meetings with five startups companies. The first is at Hebrew University’s agriculture school in Rehovot, a southern suburb of the city. In a small university conference room, a plant science professor and his three-member team present their business. The audience consists of three members of the non-profit BioSTL and a representative from the Danforth Plant Science Center.